One thing’s for sure, 2Face Idibia is a living legend. And, trust me when I say – this isn’t all hype but mere fact. If you disagree with me though, that just shows that you didn’t get “Buckwyld & Breathless” at 2Face‘s concert on Monday. Not only was it graced by an A-List of Nigeria’s Celebrities (Senator Florence Ita-Giwa was in attendance) but 2Face blew our minds with his stunning stage presence, energy, performance, stunning vocal prowess, props, dance crew and stage set up for each song that left the entire audience ecstatic and at 2Face‘s mercy, singing along the whole time. I even surprised myself when I knew all the lyrics to songs like “Nfana Ibagha” & “True Love”. He arranged the concert into segments, performing songs from “For Instance” to “Outside” as the mood deemed fit and took us on a glorious journey of 2Face‘s artistry. Coupled with an impeccable performances from Timi Dakolo, 2Face did not relent in proclaiming the message – “I Believe In Nigeria” to get us warmed up for what he had in store. After making a stunning entrance in a cage prop singing to “Free” in a pseudo-Aladdin outfit, the concert only got better with more surprises here and there (Plantashun Boiz, Sir Shina Peters, Dencia‘s Silhouette Romance scene and much more) and with D.N.M.T. (Dance Na D Main Tin) backing him up on stage, 2Face showed Nigerian artists the real way to handle a concert. Other artists who performed include M.I, Vector, Naeto C, Sound Sultan, W4, Kween, Rocksteady and so many more outstanding performances astounded fans on the stage that night. Trust me, if you weren’t there, you missed the best concert Nigeria has ever had till date. OK! may be I’m exaggerating just the tiniest bit, but 2Face has surely set the pedestal for other artists to climb to. Very few artists manage to stay consistent in their careers, needless to say, trump or surpass themselves over time but 2Face manages to make us fall in love with him and his music time and time again. 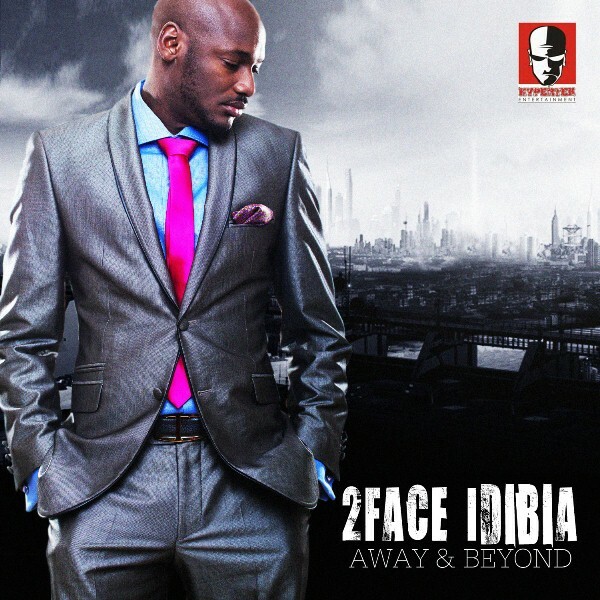 So, with all that said, here are a few songs from the International Superstar, 2Face Idibia, off his “Away & Beyond” album. “Omo T’Osan” features production from Kas; “Bother You” features the presence of one of Nigeria’s rap maestros, Terry Tha Rapman while on “Omo No Dulling”, 2Face calls on two of his Hypertek soldiers, Dammy Krane & Rocksteady. P.S. Did I mention that 2Face was singing in Efik/Ibibio like it was his native tongue? Or that he surprised us by bringing Annie Macaulay on stage for “African Queen”? Or the hot girls taking showers on stage to his new single “Dance In The Rain”? Well, so much happened; I doubt I can say it all but I do hope I painted an excellent picture for you.